Biohacking : Sleep Spindles and Memory « Adafruit Industries – Makers, hackers, artists, designers and engineers! 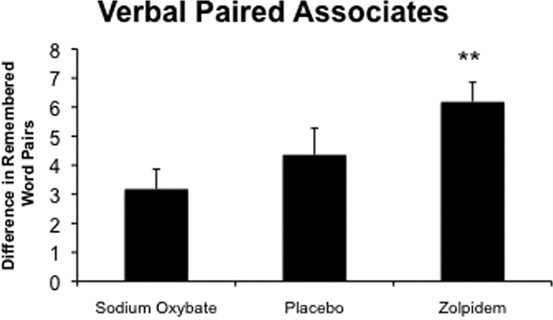 A number of clinical studies have observed an association between increased sleep spindle activity and longer term memory. These spindles are quick bursts of brain activity in the 10 – 15 Hz range. 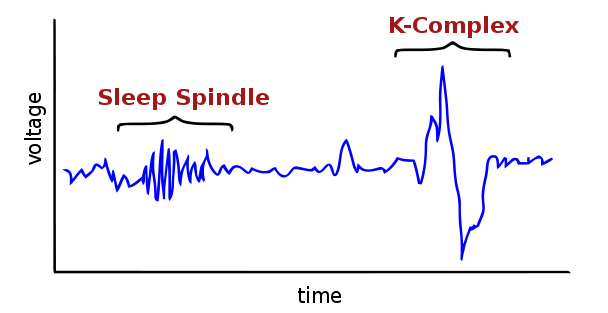 When viewing the spindles through EEG graphs they tend to resemble a spool of thread. Let’s take a closer look at some of the memory enhancement the studies were able to trigger through electrical current stimulation, naps and pharmaceuticals. This study published in Nature from 2006 “Boosting slow oscillations during sleep potentiates memory” found that gently zapping the brain with a very slow < 1 Hz alternating electrical pulse (tACS) increased slow wave sleep and improved memory. 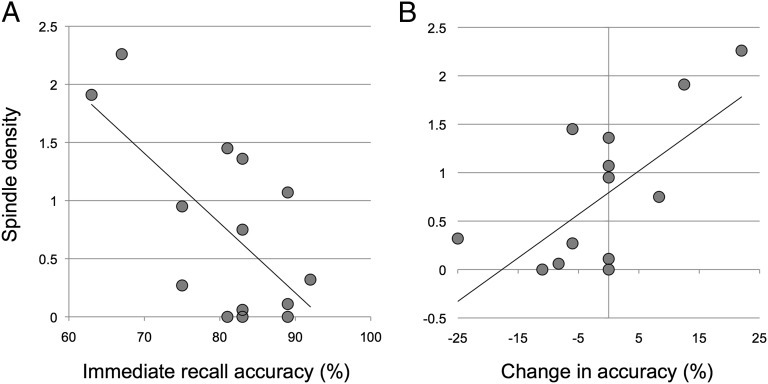 The increase in recalled words was more than doubled when comparing the sham to those who underwent electrical stimulation. 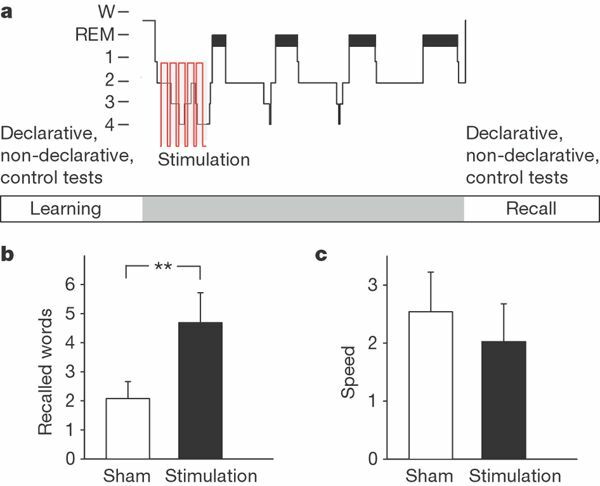 Here we show that inducing slow oscillation-like potential fields by transcranial application of oscillating potentials (0.75 Hz) during early nocturnal non-rapid-eye-movement sleep, that is, a period of emerging slow wave sleep, enhances the retention of hippocampus-dependent declarative memories in healthy humans. The slowly oscillating potential stimulation induced an immediate increase in slow wave sleep, endogenous cortical slow oscillations and slow spindle activity in the frontal cortex. Another tACS sleep spindle study from 2016 looked at motor response time and found people who underwent a night of slow brain zapping had significantly faster response times. 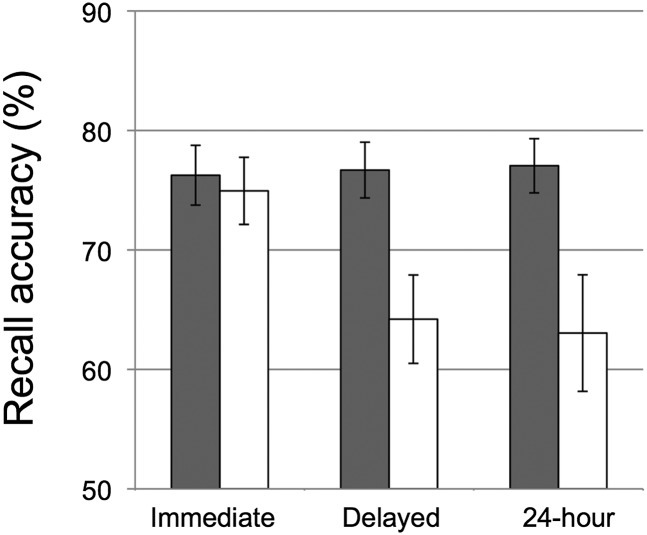 Preschool children provided with an opportunity to nap showed a 10% improvement in recall accuracy both after the nap and the following day. This 2013 study from the National Academy of Sciences also recorded sleep spindles during the children’s naps. More spindles meant better recall. These children were not having their brains zapped. 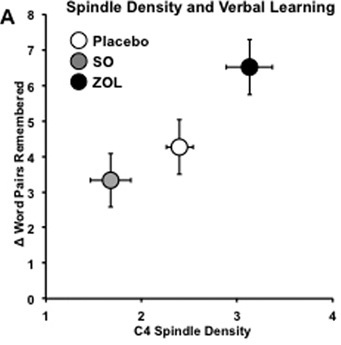 Finally, a 2013 study that made use of the prescription sleep drug Ambien (Zolpidem) showed significantly better word recall and spindle density.